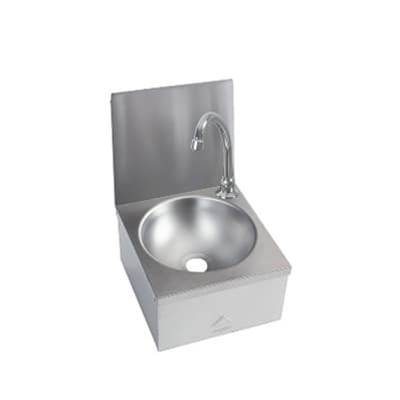 Which Knee Operated Hand Wash Basins to Use? 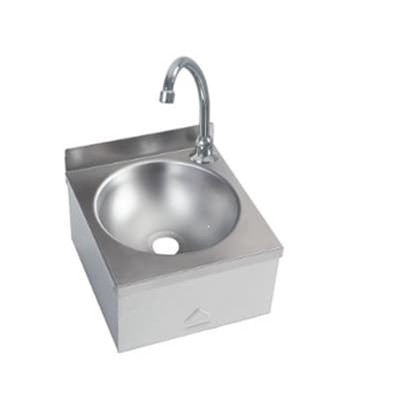 Home / News / Which Knee Operated Hand Wash Basins to Use? 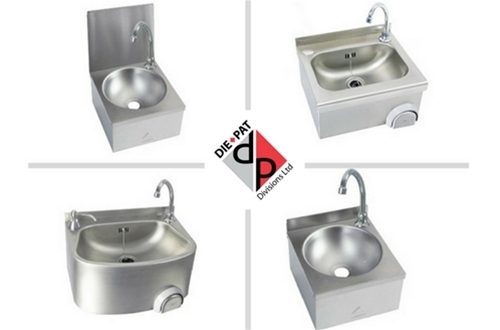 Die-Pat offer a range of knee operated hand wash basins in stainless steel and certified for personal hygiene in commercial facilities, the only decision you need to make is which basin is the right choice for your needs. 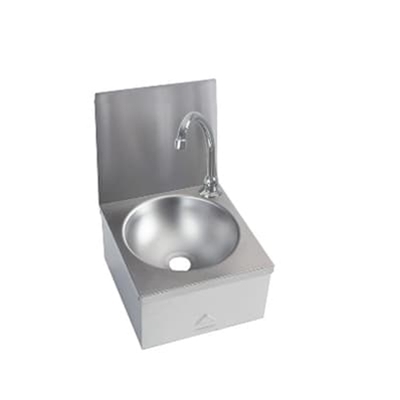 All of our knee operated hand wash basins are wall mounted and include splashback versions, we also have two WRAS approved versions should this be a requirement within your facility. 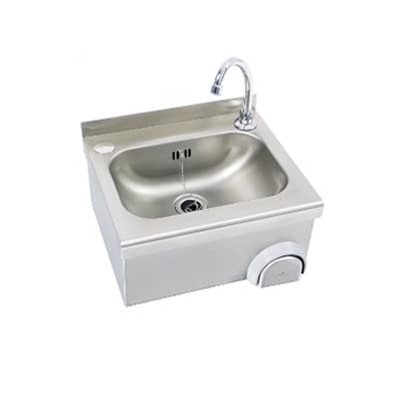 Advantages of wall mounted hand wash basins is that these units are fully spot welded including apron to save installation time on site with a knee operated mixing valve, single inlet spout and hoses. 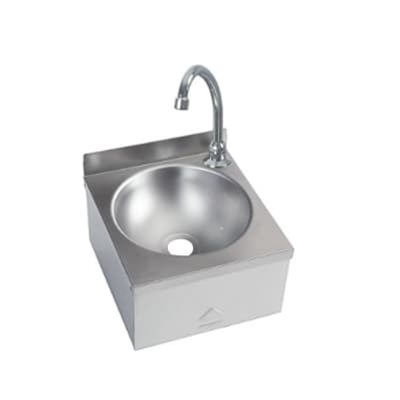 A soap dispenser can be fitted or a stainless steel blanking plate supplied. The wall mounted unit is fitted on the wall by keyhole slots on the back and comes complete with combined overflow waste kit. 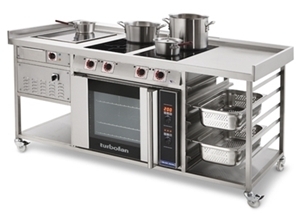 Hand washing basins must be available in the food preparation area in adequate numbers. There should be basins clearly designated as use for hand washing only. 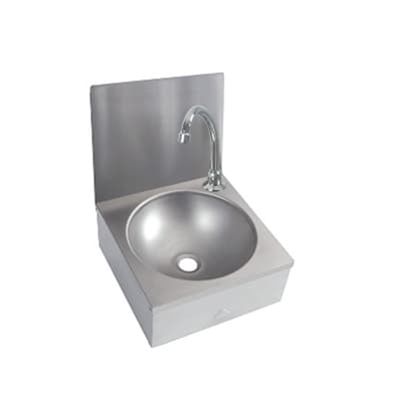 In addition, the wash basins should be placed in a way that food handlers can access them with ease. 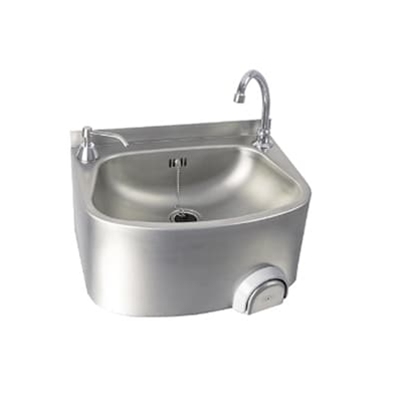 Knee operated hand wash basin with rear upstand / lip. The right cleaning materials must be used in the wash basins. These include unscented soap and antibacterial soap. Materials for hygienic drying have to be placed near them. These may be paper towels or other materials. In addition, both hot and cold water must be provided. 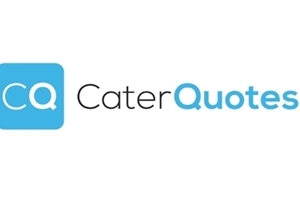 Alternatively, only hot water at the right temperature can be offered. 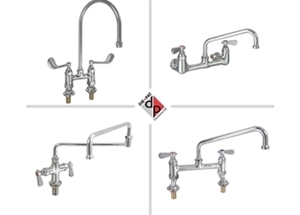 Please contact the Die-Pat team if you are unsure of which knee operated hand wash basin would be suitable for your kitchen facility.